Working on the search engine optimization of the recruitment agency web site, the first think one should look at is the competition. What other agencies are competing for the same keywords. One could widen the analysis further, and look what other sites like job boards, recruitment social media sites, employer career pages or blogs are competing for the same keywords. The first task is checking your direct competitors. 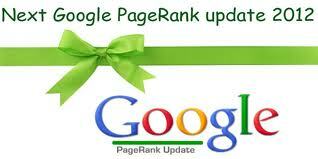 The quickest way to check ‘Who is Who’ in your industry is to check the Google PageRank (Google PR). There are million other things you should measure, but Google has done its best to measure it all for you, and give you a very simple score. Google PR number. From 0 to 10 (where 10 is the best). Here is a list of randomly picked largest recruitment agencies in Ireland and their web site Google PR score. Note I have also put this blog here in the mix. It is a benchmark really more than anything else. The rule of thumb could be here, if you are above JobsBlog.ie you are OK. If you are below you should look into it since your SEO is obviously not really done right, hence no job applicants on your company web site.